ETERBASE has been designed to offer traders institutional-grade tools on par with those used by Wall Street. Its high-frequency trading platform can process up to millions of transactions per second per trading pair, making it scalable enough and fast enough to meet the ever-increasing demands of the trading community. ETERBASE is a cryptocurrency exchange platform with a focus on multi-asset support and regulatory compliance. There is clearly an underserved market for a reliable cryptocurrency exchange with a robust operational and technological infrastructure on par with the large banks and Wall Street firms. ETERBASE is engaged in the process of a fully compliant platform that offers a broad range of B2C and B2B cryptocurrency-specialized solutions. These include a high-frequency trading platform capable of real-time spot trading and margin trading, over-the-counter trading, and high frequency server hosting with a direct-market access and incentive system for market makers. → Team members have 4 missing pictures. Any reason for this? "ETERBASE is a cryptocurrency exchange platform with a focus on multi-asset support and regulatory compliance." → Please list down the various assets? → Is a MVP ready for review? 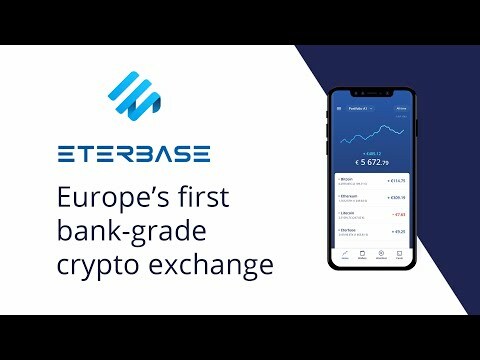 The launch of ETERBASE is certainly making waves in Europe, primarily due to their regulatory compliance and the offer of institutional-grade tools that they claim are on a par with those used by Wall Street. At the moment they suffer a little from a lack of global exposure and a small network, but this is to be expected of a project at this stage, and it’ll be interesting to see how ETERBASE grows over the coming months. The team working behind the scenes at the moment is rather small, but this can also be a positive, and helps to add a more personal feel to the project. They've done VERY well on delivering a demo product and I'm intrigued to see if they continue delivering the rest of their roadmap. Solid project, well defined project goals and aims. Although there is some level of obscurity about team members background in regards to further confirming if they can deliver on their project goals. I very much like the concept of a Robust exchange all round that offers a vast amount of trading options. But one primary issue which it hasn't explained and which is a major problem for exchanges is the issue of liquidity. Are there mechanisms In place for that? I would like to know. In all, a solid project.